It always seems that your car breaks down at the worst time. And so does your equipment. Sometimes it is truly an accident, yet many times it is our neglect of maintenance that gets us into trouble. 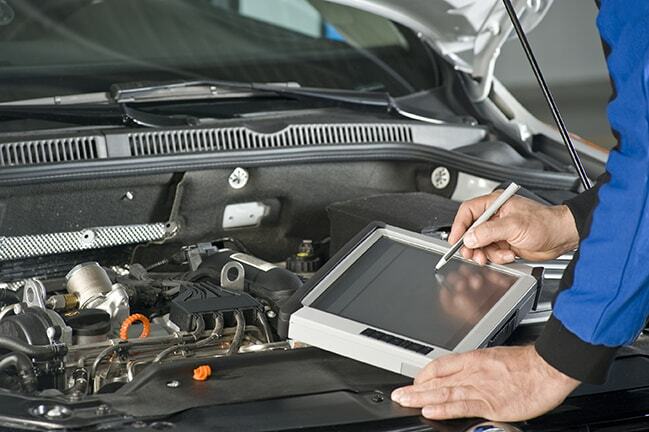 With the advent of telematics, a combination of GPS and wireless technologies, we have the data on our vehicles and equipment to manage their upkeep better. By minimizing equipment downtime, you can improve your field productivity and your bottom line. Allocating your equipment efficiently can be a monumental task, especially if you’ve been keeping records on your office whiteboard or workers’ timecards. Data from telematics, such as FleetOutlook®, can be fed into concise reports to help you make informed decisions about how to use your vehicles and equipment across various projects. It would also be useful during the bidding process and for invoicing because you would have actual usage results. Another benefit is being able to setup alerts based on mileage, and machine engine hours, so you can schedule maintenance or reduce idle time and fuel costs. With regular service and proper utilization, you can preserve the value and longevity of your equipment while reducing the risk of breakdowns. The cumulative effect is a lower cost of ownership. There have also been articles on how telematics could encourage better operator behaviors and improve safety as a result of monitoring usage. Perhaps the data could be used in training programs or company updates. As you can see, there are a wealth of benefits to applying telematics to your organization. It can deliver greater coordination of your assets while simultaneously reducing your operating costs. How would you use it? Let us know in the comments! Lastly, join us on July 27th for a free overview of CalAmp’s construction solutions. Register here.